Did you know I make handmade soaps? This is the batch I made today (which is huge for me) for the upcoming con (FE) where I will be selling. 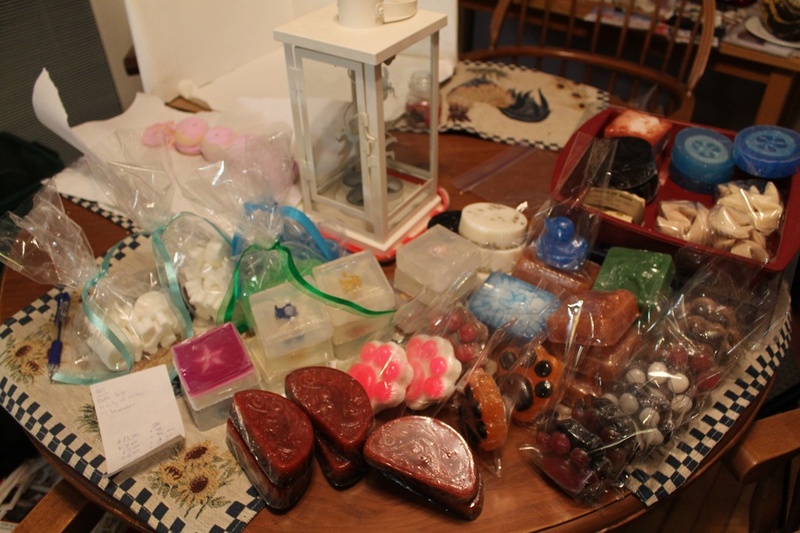 And I also make lip balms, bath fizzies, room sprays, bath salts and body butter~! Rule #1! Rule! Number! One! I'd tell you, but you know...not supposed to talk about it. Oh bahaha thats right. Never seen that movie, but definitely seen the soap part. hahaha, I will watch it someday!!! !